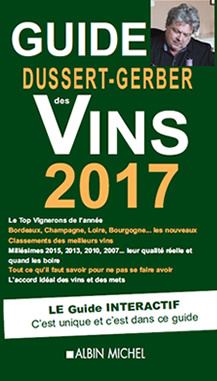 In the south of Mont Brouilly, Sylvie Dufaitre-Genin, viticultrice, produced of Brouilly and Côte-de-Brouilly and cultivate with conviction her 11.60 ha of vines, type of vine Gamay black with white juice. It patiently matures its wine to obtain vintages worthy of its grandfathers vine growers, present at Odenas since 1752. The wine then takes its robe ruby and its aromas of red fruits and flowers in the cellar. The permanent attention and the passion of Sylvie Dufaitre-Genin make the remainder. Here is a good beautiful Brouilly 2011, coming from 40 year old vines gathered the grapes manually, it is matured 7 months out of tanks, of steady color, well-balanced, scented, with blackcurrant the nose and spices, an opulent wine with silky tannins. The 2010 are excellent, of deep color, full, with the nose where prevail the cooked fruits, with ripe tannins, all in persistence, a beautiful traditional, intense wine and charmer with the palate. 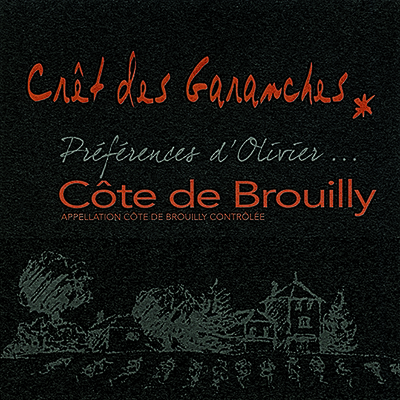 Excellent Côte-de-Brouilly 2009, with the subtle aromas where the ripe fruits and the violet prevail, all of structure, very typified, combining smoothness and structure, a wine of powerful mouth, excellent evolution as attests of them the 2006, a wine of very beautiful robe steady crimson, with the notes of blackberry and of leather, slightly spiced, a fort beautiful evolution continues. Brouilly 2009, Sélection of Tastevinage d' Automne 2010, with the nose prevailed by the strawberry and blackberry, rich, are structured, of a nice final, a traditional wine, with tannins ripe but quite present. Taste also Brouilly 2009, production limited to 500 bottles, matured 18 months out of barrels of French (new), not filtered oak, natural degree 14,4°, a wine of steady color, fullbodied and powerful mouth, beautiful matter, with the cherry connotations, undergrowth and spices, with ample tannins, which deserves patience.